How to EMAIL to FAX Machine on an iPAD with TWO Apps! My goal was to figure out how to send Mom a Fax version of an EMail via my iPAD with Ring Central & PDF Converter Apps. Sometimes your client, friend, family or Business Recipient may use a FAX machine but does not email. This checklist of how to EMAIL to a FAX Machine on an iPAD with the two apps PDF Converter and Ring Central (with a Ring Central EFAX Plan ) solves the dilemma of getting an email to a person who has a FAX Machine but no computer or email account. 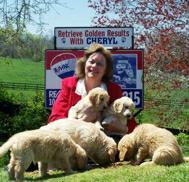 You'll Retrieve Golden Results with Cheryl Ritchie for all your Southern Maryland and Anne Arundel County Real Estate Services. Visit www.GoldenResults.com for more information. Realtors: 150 Minutes to Dread it BUT 15 minutes to DO IT! Realtor Best Time Management… SPRINT or RUN? Realtors: Treat your iPad or Tablet like a Transistor Radio!